Zvolen Castle was built for the Hungarian King Louis of Anjou in the final third of the 14th century, on the site of an older manor. Originally it served as the occasional seat of the royal court, and from 1424 it was part of the estates of Hungarian queens. As such, it was one of the few Gothic castles whose function was primarily comfortable living, with a minimal emphasis on strategy or defence - at the time of its construction it was in the safe interior of Hungary. The building belongs to so-called castello castles; the regular rectangular ground plan had four two-storied wings, surrounding a central courtyard. The palace was further articulated by a pair of towers on the western side, and a chapel on the eastern side which rose above the residential wing. The entire complex was closed off by a perimeter wall. The castle entrance - from the city side - followed into the courtyard. The castle ground floor served mostly for storage and economic uses. The residential and representative spaces were concentrated on the first floor, around the castle chapel. The castle was first rebuilt at the turn of the 16th century. At that time, a new outer fortification with a turreted entrance gate and corner bastions were built, and the royal hall was decorated with wall paintings. 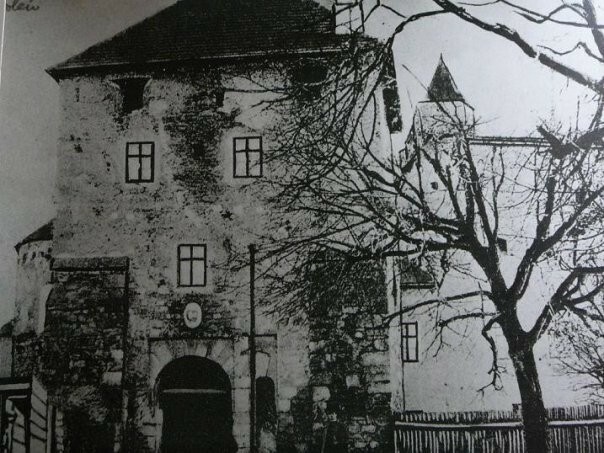 In the first half of the 16th century, as a result of the Ottoman threat, the castle was rebuilt in the Renaissance style. 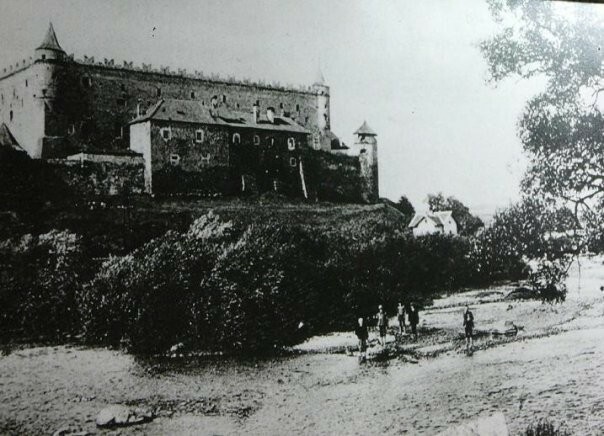 From 1575 the castle contained a permanent military garrison together with the Lord Lieutenants of Zvolen County. During rebuilding the castle rose by a further two stories, and corner turrets and embrasures were added to the entire outer wall perimeter, while the northern facade was strengthened by a large bulwark for cannon. And indeed, the Turks never managed to conquer the castle nor the city. The mid-17th century saw a Baroque renovation of the castle, during which the representative halls of the first floor were divided into numerous smaller spaces. Other more significant changes were made only in the second half of the 18th century. In particular, these included the rebuilding of the two-storied Gothic chapel, which lost almost all vestiges of its medieval appearance. With the decline of precious metal mining in the mining cities, and with county offices relocating to Banská Bystrica in 1789, the castle began to lose its previous significance. 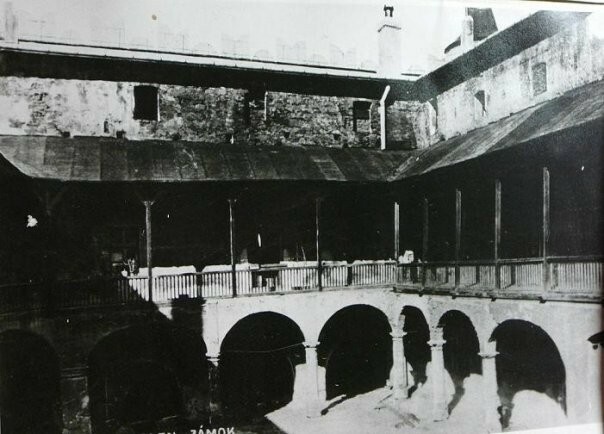 In 1805 the then owners, the Esterházy family, sold the castle to the state, and its empty rooms became a court, prison and a tobacco store. The first provisional restoration of the castle since its Baroque reconstruction took place only in 1894 and 1906 by the Hungarian Monuments Commission. Between 1957 and 1969 the castle underwent an extensive reconstruction, and in 1961 it was included in the list of national cultural heritage monuments. The castle is part of the Slovak National Gallery since 1961. The methods of its reconstruction focussed on maintaining the historically and artistically most important phase, with an emphasis on the Gothic and Renaissance periods. Thanks to the reconstruction of the Gothic porch the courtyard regained its original monumental appearance. Its floor also serves to highlight archaeological finds, with traces of the foundations of an older Romanesque church. The renovation of the castle chapel took place in the 1990s. It returned to the chapel its appearance from the late Baroque period on the second half of the 18th century, with surviving Gothic elements remaining in the form of a so-called analytical presentation. Today the main palace contains exhibitions and deposits of the Slovak National Gallery, with the emphasis firmly on the Gallery - the collection of European painting from the 13th to the 21th centuries. In the last third of 14th century, because of the order of the Hungarian king Louis I. of Anjou the Zvolen castle was built. From 1424 the castle was mostly used by queens. It was one of few gothic castles mainly designed for comfortable living with minimal strategic or defensive character. During the time of its creation, the castle was located in the safe valley of inland of Hungary. During the first reconstruction of the castle, the new fortification with tower gateway and corner bastions was built. New painting decorations of the royal hall were created. The threat from the side of Ottoman Empire supported the result of rebuilding of the castle in the renaissance style. During this phase, two floors with corner towers and loop-holes all around of external walls were added. Another huge loop-hole for cannons was placed in the northern façade. The castle became the main place for the army guided by district administrators of Zvolen. During this time, the rebuilding of two-floored gothic chapel was realized. This chapel overbuilt almost all ceilings of its authentic medieval character. The castle started to lose its authentic value because of failure of mining of noble metals in mining cities. Another reason was the resetting of district offices from Zvolen to Banská Bystrica. The family of Esterhazy sold the castle to the state. Later, the castle became the residence for the court, the jailhouse, and the stockroom for tobacco. The temporary changed of the castle were done by Hungarian monuments commission during this time. The large-scale reconstruction took its place during this time at the castle. The methods of the reconstruction gave priority to save the most historic and artistic phases of the castle where it was focused on the gothic and renaissance period. The Zvolen castle was classified to the list of national cultural monuments. The castle became the part of Slovak National Gallery.